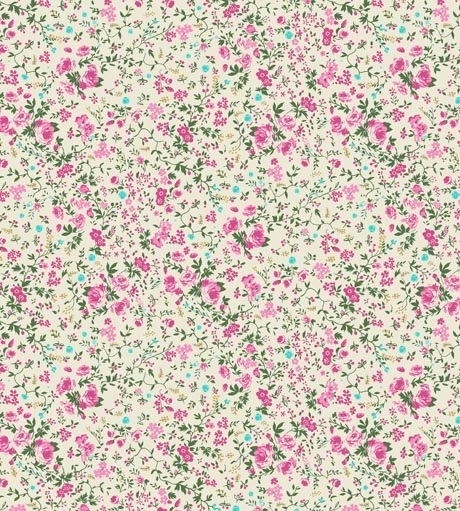 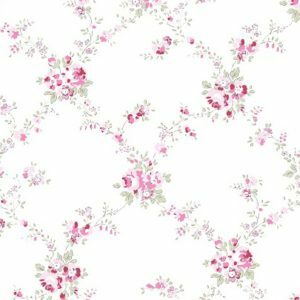 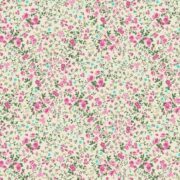 Just a totally gorgeous, ditsy floral print, drawn by Kimberley taken from some of our existing florals, Summertime and Mathilde. 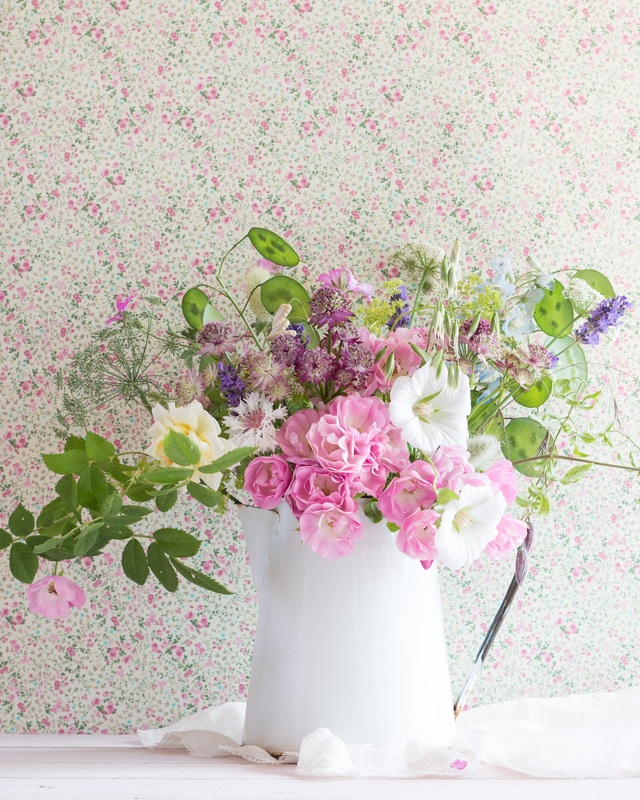 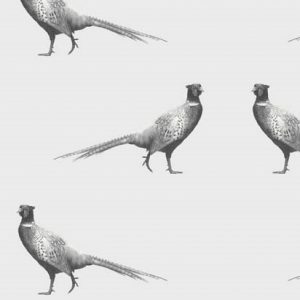 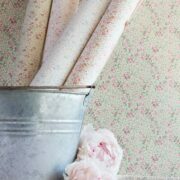 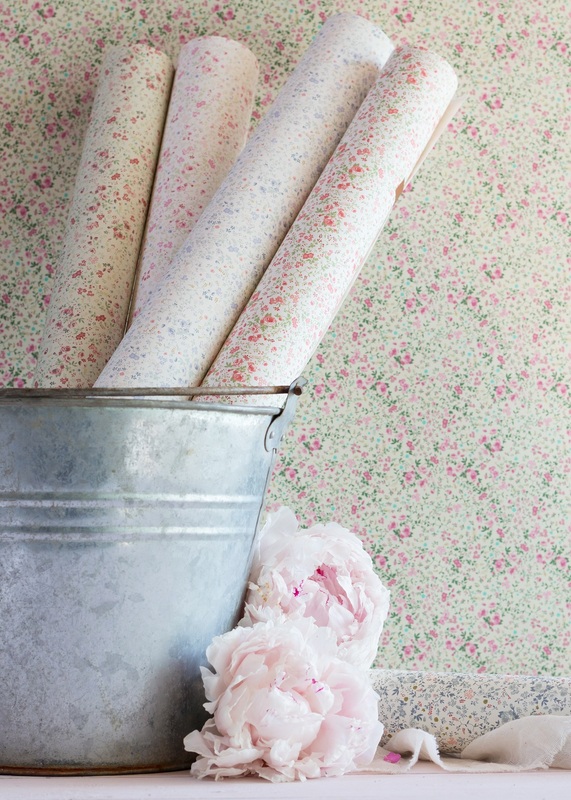 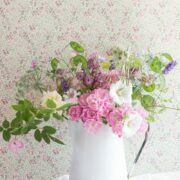 Just delightful in a wonky country cottage on bedroom, or bathroom walls with some of our vintage plain, dot or striped linens. 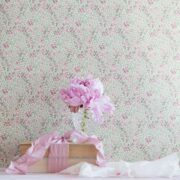 This one is charming with Capri Stripe French Blossom, Weathered Green and Natural Laundered Plain Linen. 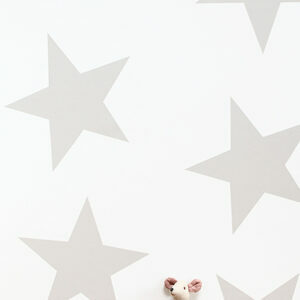 If you want some dots, blush would be a nice choice and our Moroccan Pink Paisley.